This darling little cotton blend pants set is made by Rosalina, a leading designer of quality childrens' apparel. 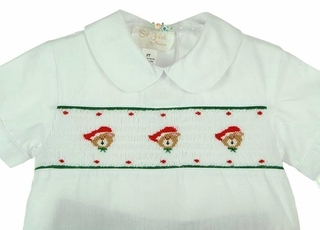 It features a white smocked shirt with holiday bear embroidery. 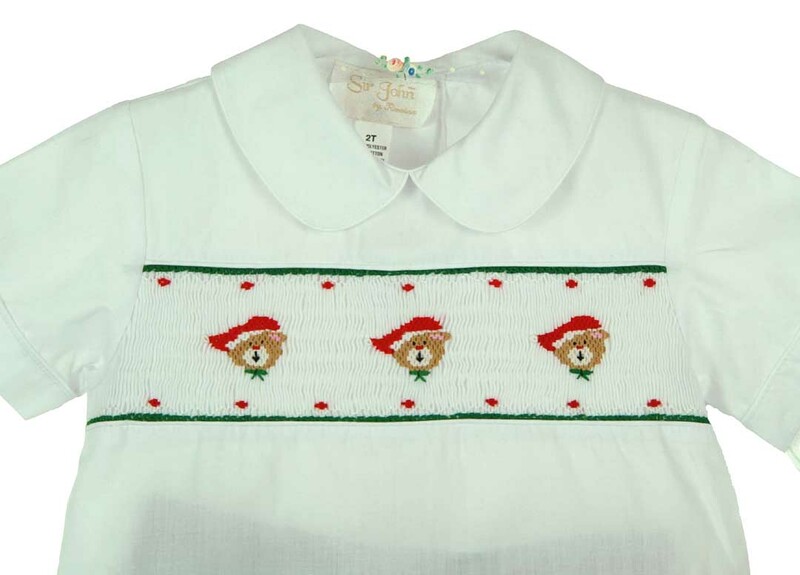 The shirt has a Peter Pan collar and short cuffed sleeves with a back buttoned closure and a straight hem that can be worn out or tucked in for a dressier look. The red and green plaid pants have front pleats, pockets, and an elacticized back waistband for a good fit. Perfect for your baby boy or toddler boy's visit to Santa, holiday portraits, or Christmas parties!